You just know when it is time to let go. When the situation is no longer doing you any good, when you feel stuck, when you find yourself yearning for something else, then perhaps it is time to move on. Any relationship runs the risk of falling into this state, and what you had with your job was something sort of a relationship, complete with all your personal and emotional investments. But if you feel and believe that the situation you are in is no longer working or is not going anywhere, then you do not have to force yourself to stay. If you feel that you are ready to leave, then do not just disappear leaving loose ends. 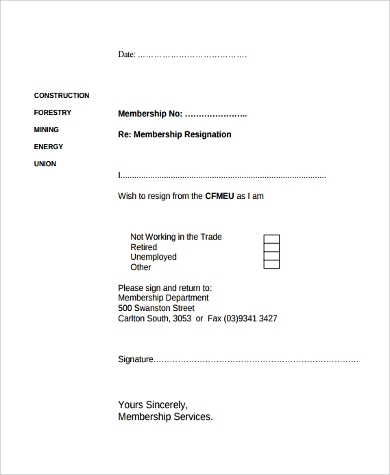 Give it the closure that it deserves, and do it through your resignation letter. 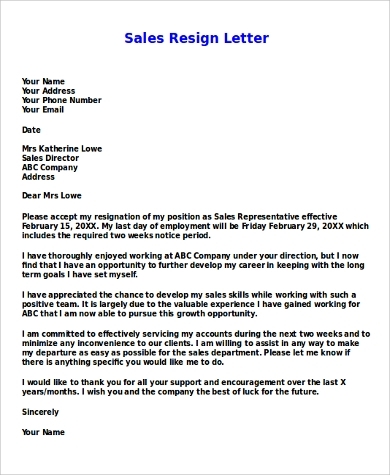 As an initial guide, here are Sample Letters. 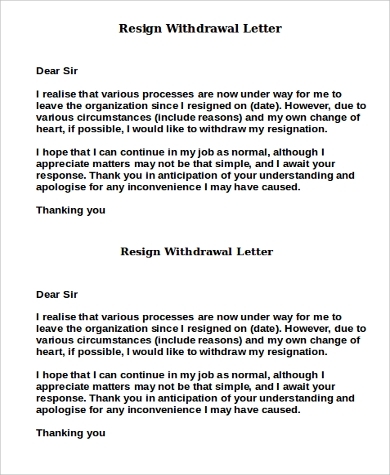 Your resignation is essentially a farewell, and farewells or good-byes are emotive and personal. 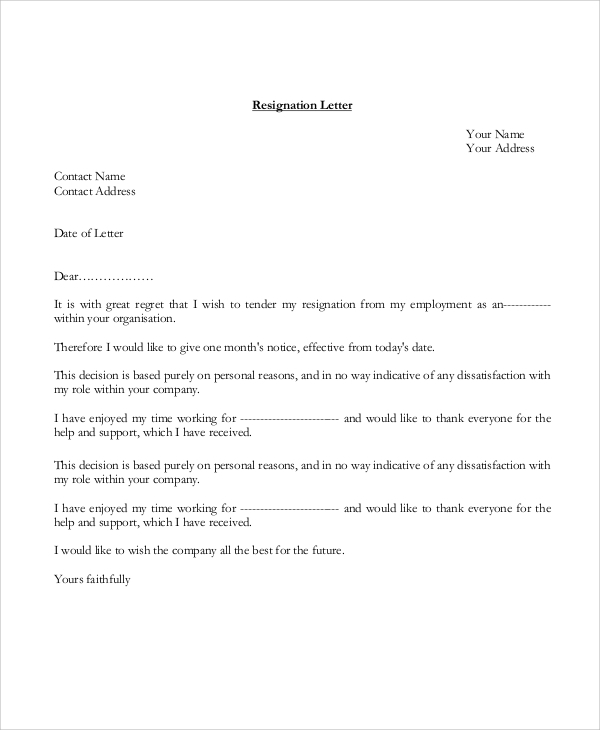 That being said, a resignation letter is to be submitted in the course of business. Strike a balance by being sincere yet formal. 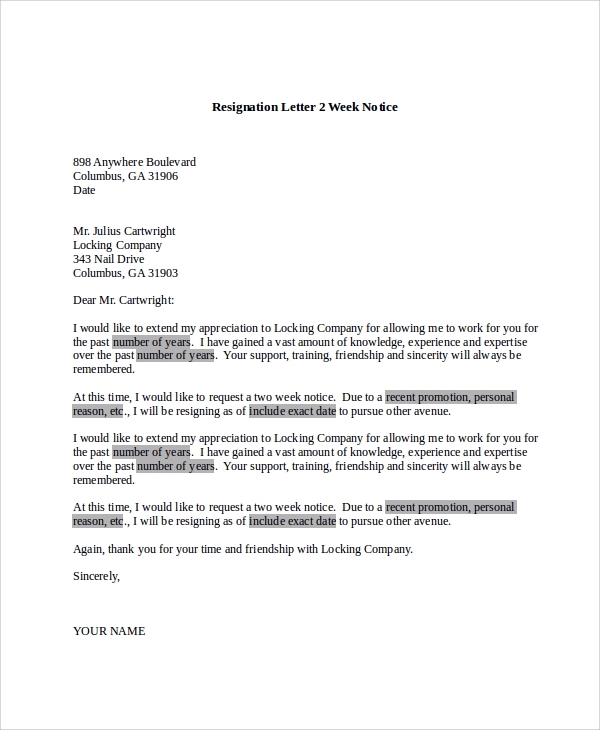 Accordingly, your resignation letter should still comply with the formatting guidelines expected of formal letters. 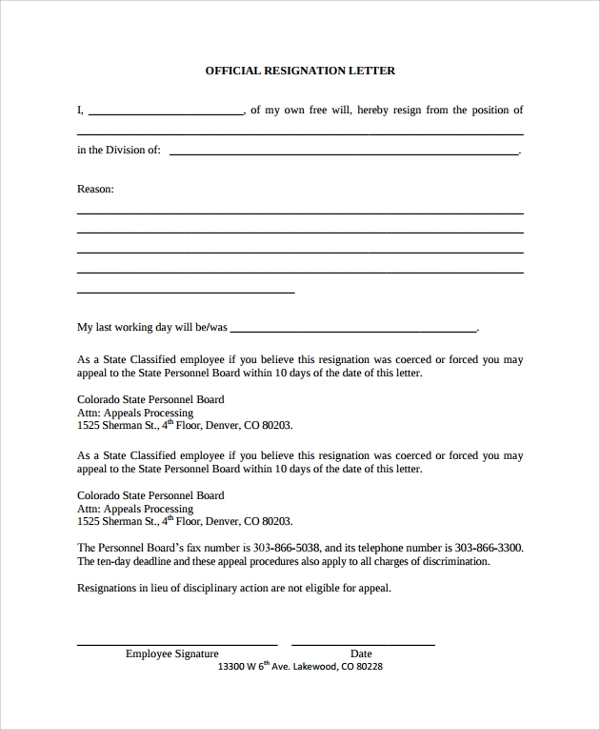 It should be addressed to your superior or to your company, and you should sign it with your name and contact details. As much as possible, keep it concise. Try not to exceed writing just one page for your letter. 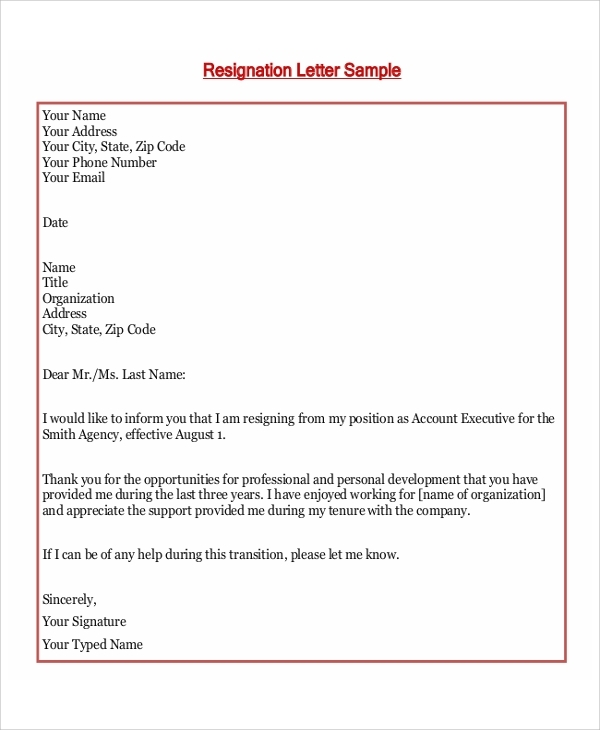 To guide you, here are some Resignation Letter Format Samples. Highlight the job that has been. Write of your gratitude for the whole duration of your stay with the company. Try to include some positive insights and some note-worthy experiences. Explain the reason/s for your resignation. Whatever it/they may be, be very truthful; whether you were offered a better position and employment in another company, or that you decided on pursuing something else. Express your desire for a gracious departure. Settle the date for your resignation well. Present the date for your desired departure, all the while inquiring if the same day would be convenient for the company. Guarantee to do what is due. If possible, and if the company allows it, fulfill any or all of your unfinished tasks or work (if any).You could also recommend a person to take over your position, or if an order has already been set up for that, assure them that you will clear duties and obligations with the individual to succeed you. Your exit with the company need not be messy. 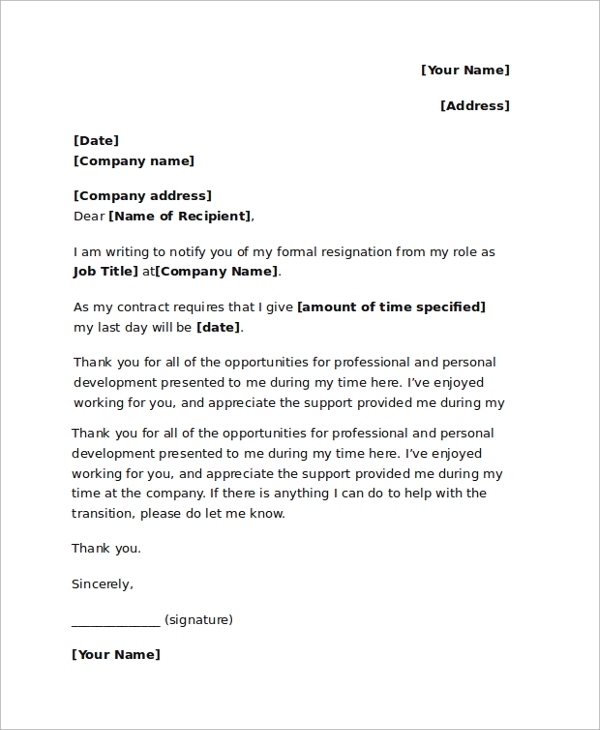 You can still maintain professionalism and have cordial ties by writing a good resignation letter along the lines of these Sample Best Letters of Resignation.